Air temperature (also known as dry-bulb temperature) is the temperature of the ambient air when the measurement device is shielded from radiation and moisture. The most common method of air temperature measurement uses a resistive temperature device (RTD) or thermocouple within a radiation shield. The shield blocks sunlight from reaching the sensor (avoiding radiative heating), yet allows natural air flow around the sensor. 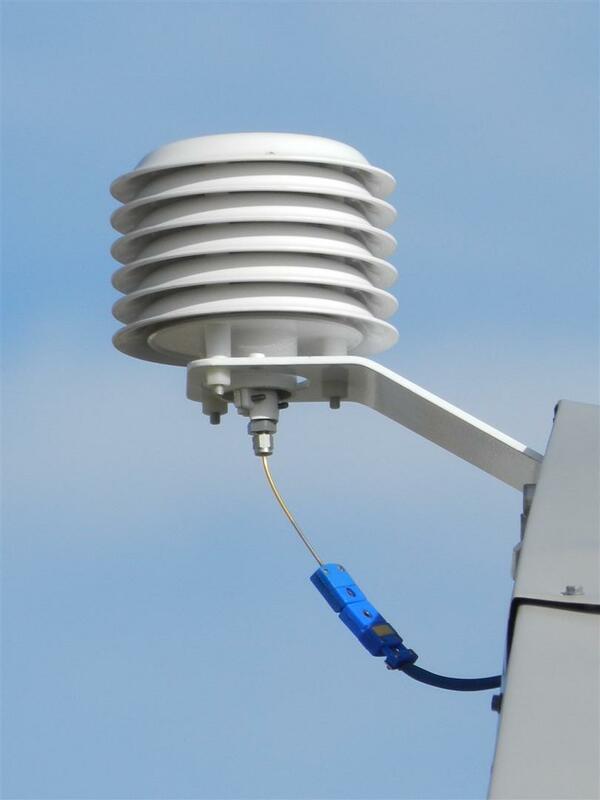 More accurate temperature measurement devices utilize a shield which forces air across the sensor. Air temperature is typically measured on the Celsius scale. Air temperature plays a large role in PV system performance as PV modules and inverters are cooled convectively by the surrounding air. Radiation shield of naturally aspirated ambient temperature sensor.